Those are some ugly-assed shoes. 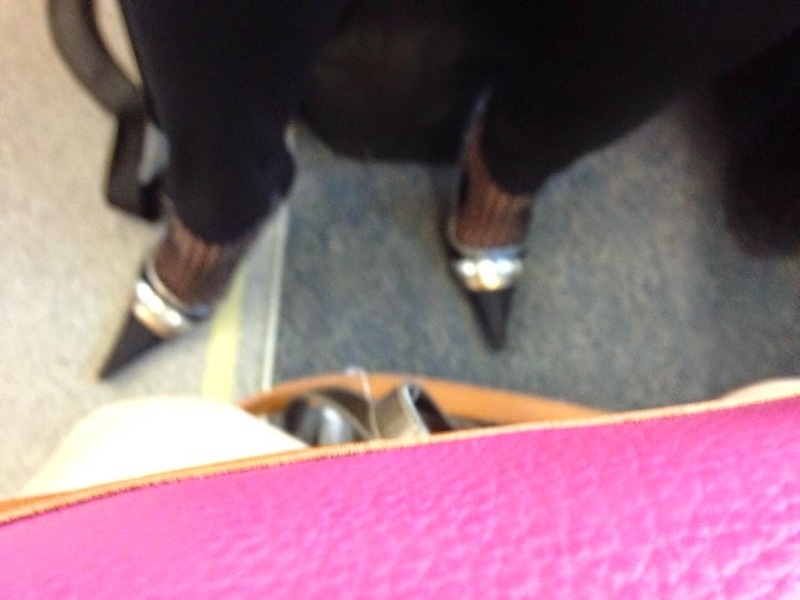 And how the hell does she walk in them? I would be tripping all over those toes.